Welcome HOME to this SPECTACULAR Center Hall Colonial. Stone Front with a Gracious & Spacious Open floor plan. Move in ready, unpack and enjoy everything this community living home has to offer. The Clubhouse includes a Pool, Gym, Playground, Basketball & Tennis courts. NYC commuter Dream Home with Bus stop 1 block away near Rt 9 & 18. 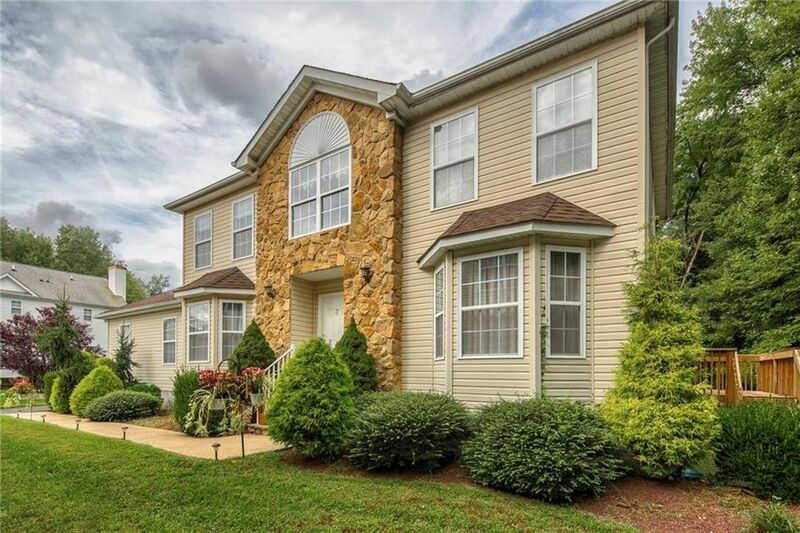 Enter into two-story foyer, Family Room with gas fireplace, Huge Eat in Kitchen + Formal Dining and Living Room, Extra guest bedroom or office, full bath on the first floor, 3 bedrooms, 2 full baths on the second floor Master bedroom's bathtub with jets and separate shower. Crown Molding, Sliding door onto a deck to Enjoy the open preserved space with private setting side and backyard. 2 car garage, Full Unfinished basement waiting to be finished for endless possibilities. A MUST SEE !! !